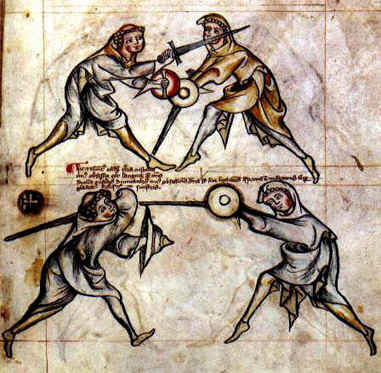 This is the earliest known illustrated western fighting manual, the fencers depicted are monks but the combination of an early “arming sword” with a small round shield of between 9″-12″ diameter was very popular from the 13th century right through to the 16th century. 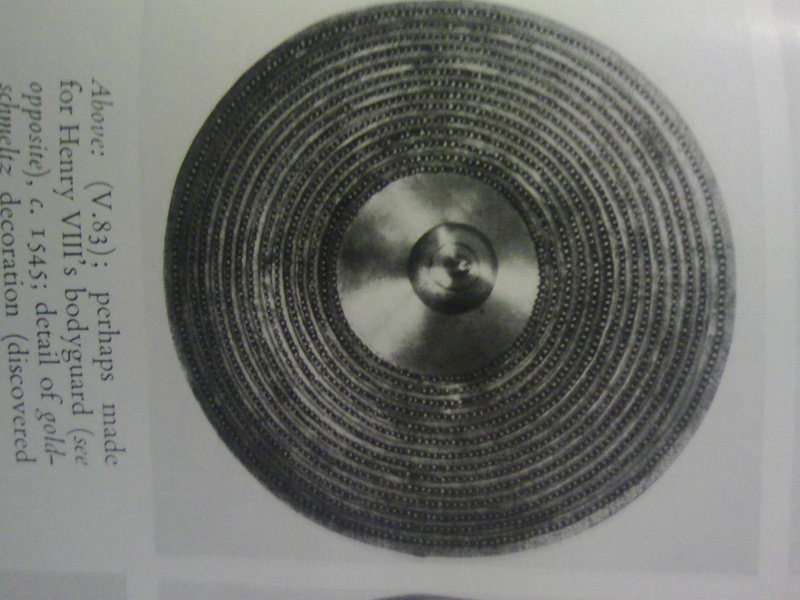 The shields were made of wood leather or iron or indeed combinations of all these materials. Their small size appears at first to be undesirable in a fight as they provide little in the way of cover, but with bit of practice they can run rings around bigger, clunky shields as the are highly manoeuvrable. 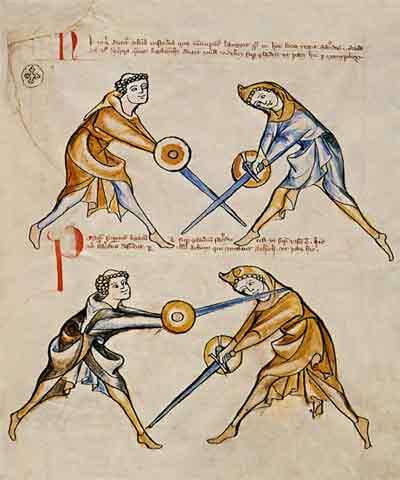 In addition, whilst a larger shield protects the side of the body and head from cuts and thrusts, it does little to protect the sword hand which must necessarily be projected beyond the shield in order to bring a blow to bear. 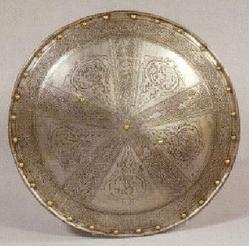 Not so with the buckler, as during the fight it stays very close to the sword hand and constantly denies access to this tempting target. 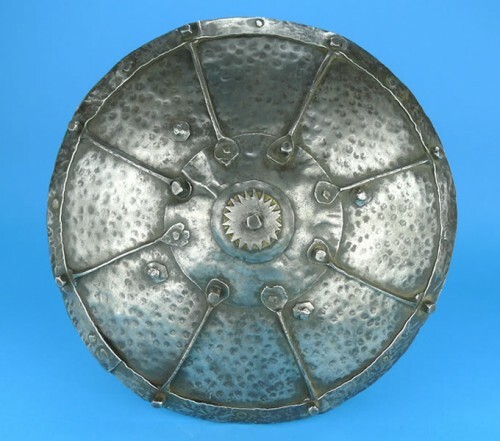 The further the shield is pushed forward, the less avenues the opponent has to attack, much like when you put a barrier in front of a light bulb. The closer it is, the more light is blocked until it is all shrouded. This can happen with the buckler as well, if the fight gets very close it can be pushed into the opponents face to blind them. 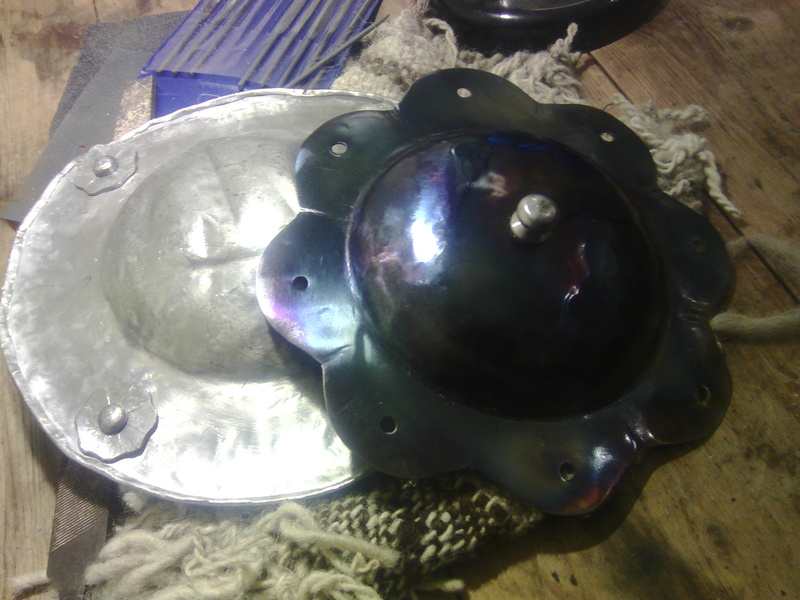 Of course, in a more visceral way, bucklers make excellent knuckledusters for gaining an advantage, some originals even have sharpened edges and spikes to give the blow even more power. 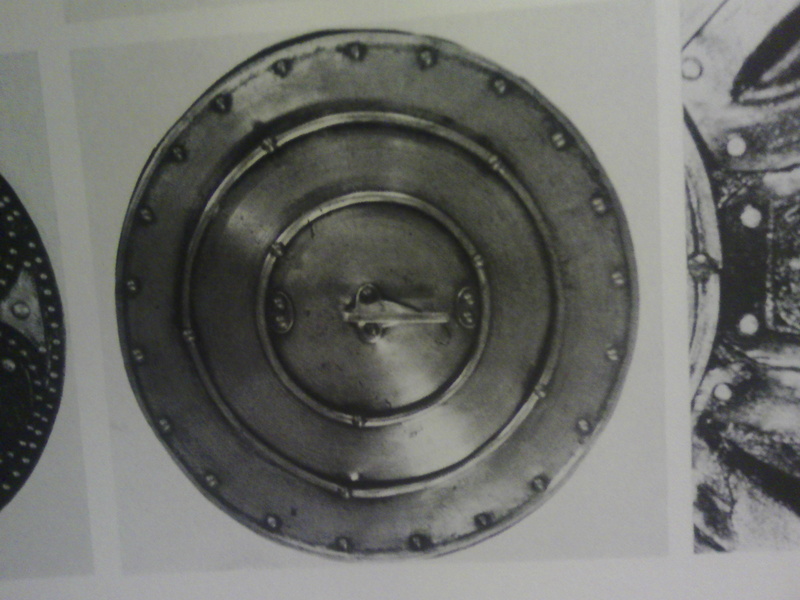 I wouldn’t fancy using a razor sharp shield though, too much chance of gashing the sword arm! The first and last are the only European ones I can see, the middle one is Turkish. They all demonstrate the type though, and I like looking at Middle Eastern, Indian and African examples as the former two seem to have a lot of surviving artefacts, and the African ones are far more recent and still show details such as leather and wood that have often perished in European examples. 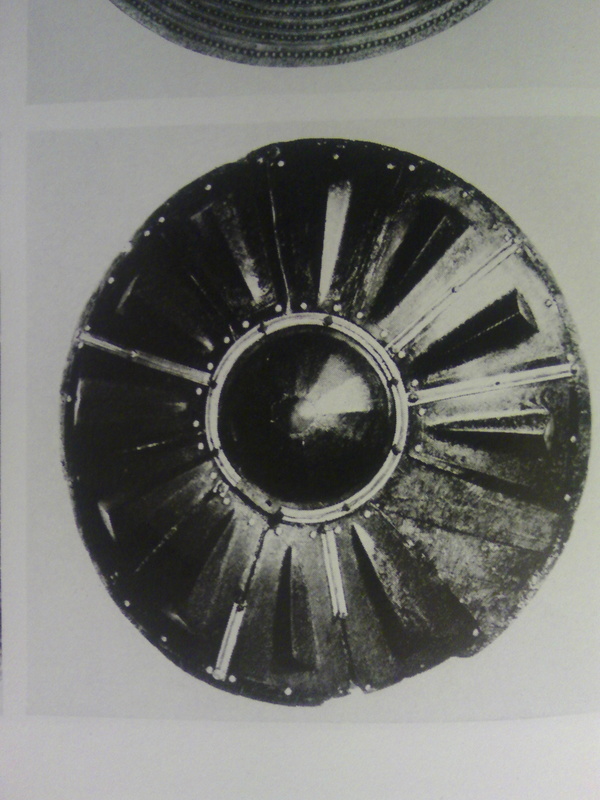 Form following function, although it is impossible to prove that European hide and wooden shields would have looked the same as later African ones I believe that it can be a fruitful route to study. 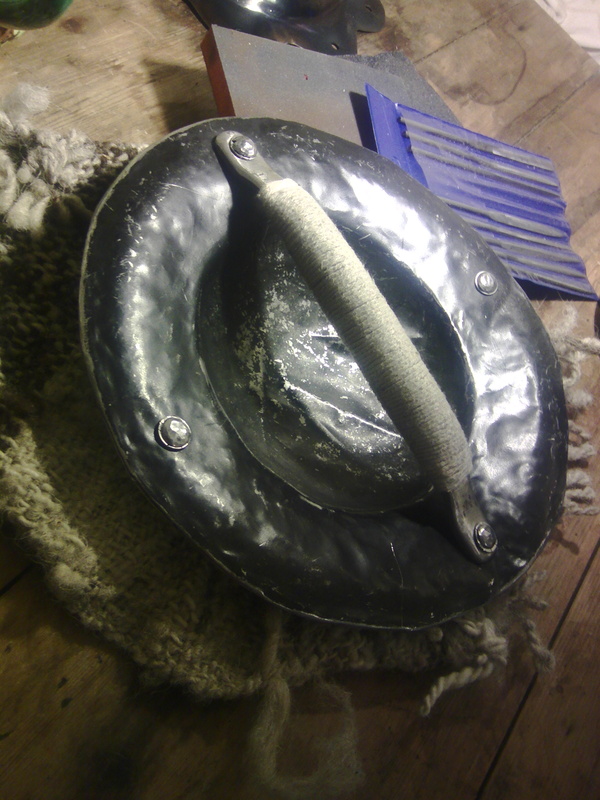 The first one is a “before” picture of the finished buckler, roughly dished with little planishing or smoothing but a quick buff on the grinder for vanity’s sake. 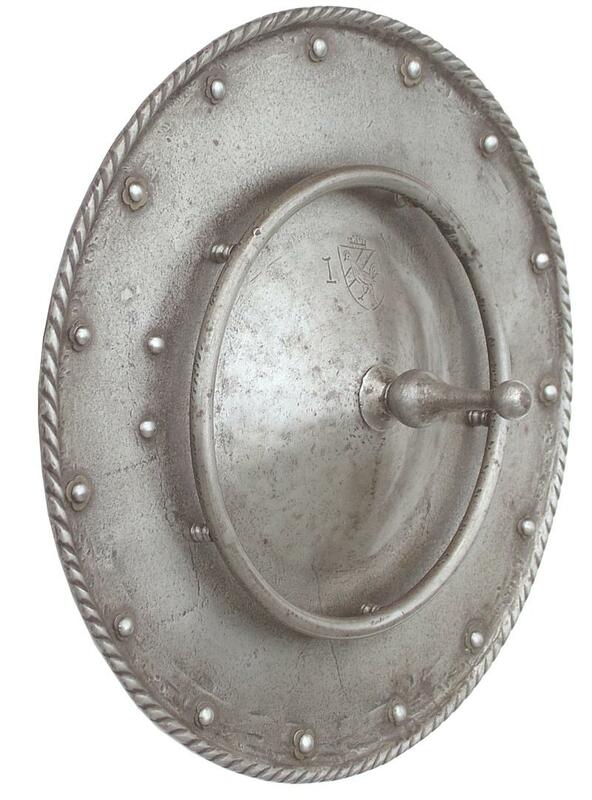 The handle is held on by two of the rivets, the other two are purely decorative. The rolled edge adds a little strength and eliminates any chance of sharp edges, but its still pretty flimsy. I ended up using it for a couple of classes and a tournament against longswords, arming swords, rapier and highland broadsword, and honestly I think it actually did rather well. There are some big dents in the boss and one of the sides is bent down but as the shield swivels and rotates during the fight it sheds the force of the blow and took very little damage. 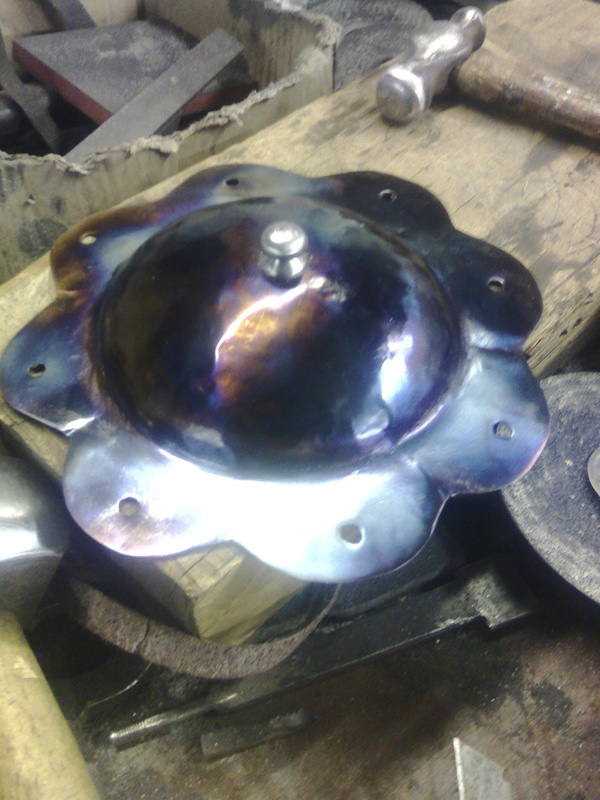 Considering the metal is less than 1mm thick I find it remarkable, and worth further experimentation to try out more light designs. 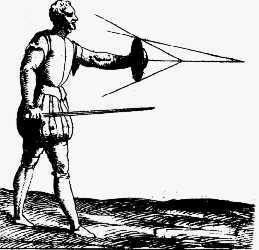 Historically though, I doubt it would have put up a lot of resistance to a sharp blade thrusting and hacking at it! 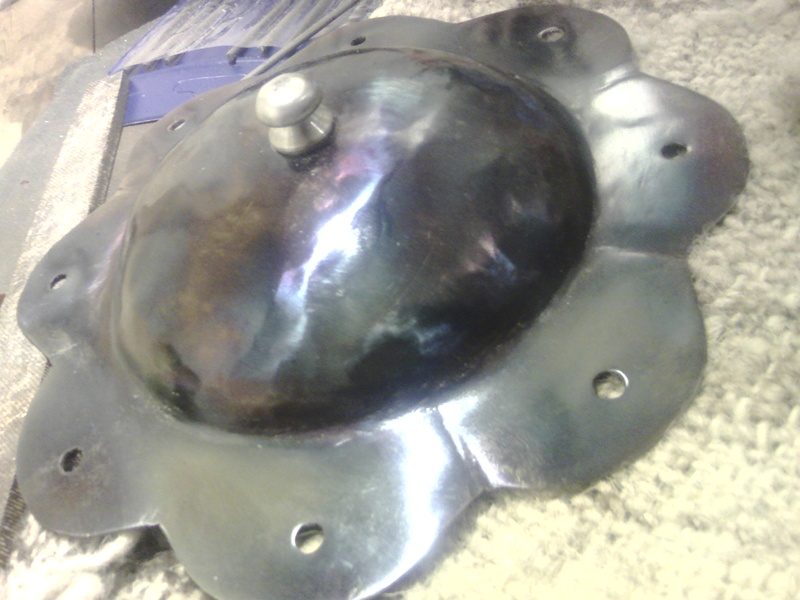 This one is of thicker 2mm mild steel, dished out with much more care and planished before getting a rough surface grind and buff. 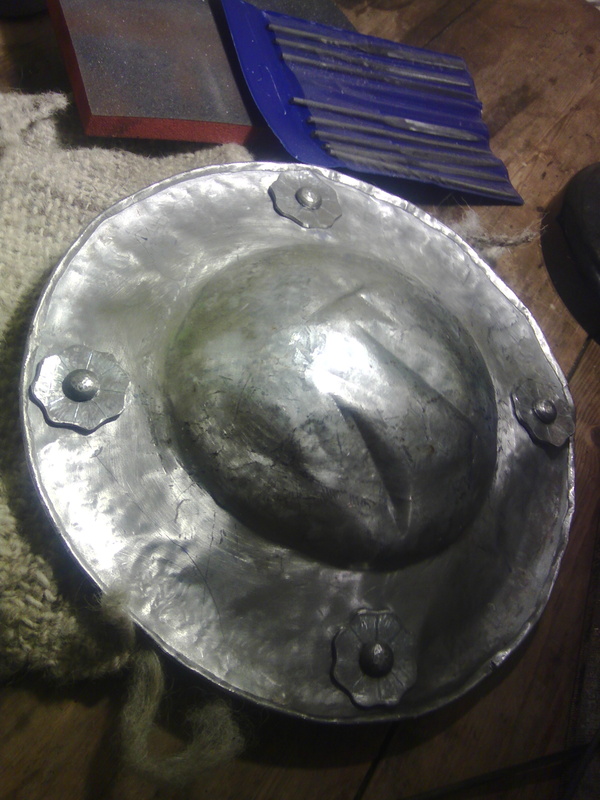 Again this is just a test for a different construction technique as I want to rivet this boss to a leather rim and see if there is any effect in the performance. 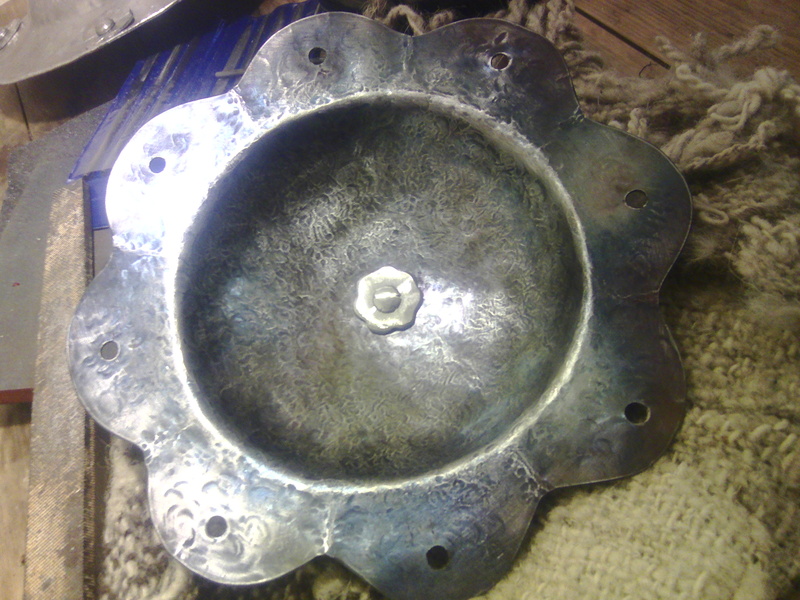 In idle moments at the forge I also turned a blunt spike for the front to use to catch and control blades, and gave the surface a basic bluing and oil sealing to carry on the flower motif. 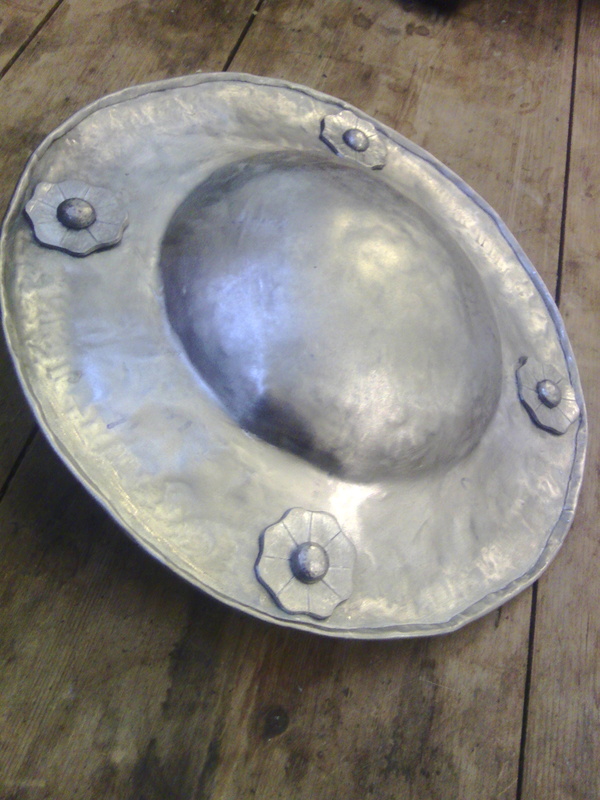 I will do matched rivet heads and I may engrave silver lines through the bluing. It has really darkened! I will post pictures as soon as it is finished.